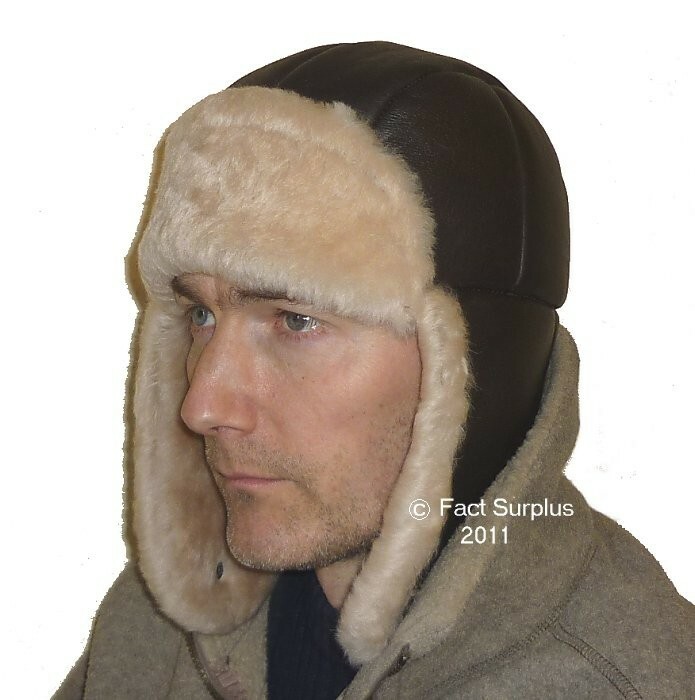 100% Genuine Sheepskin flying helmet. Nappa (satin) leather finished outside. 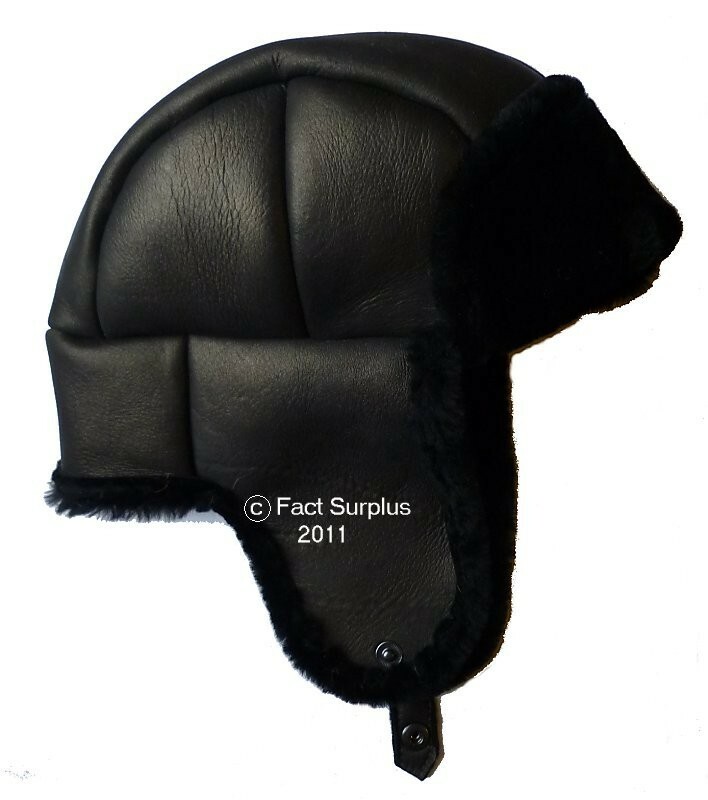 Sheepskin inside. Popper fastening on chinstrap. 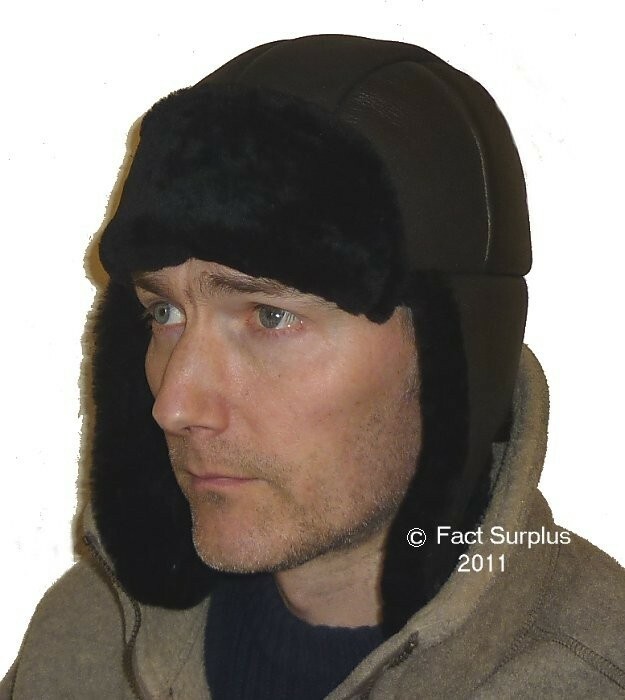 Chin flaps and back can be turned up and fastened with popper to make a hat rather than a helmet if desired. 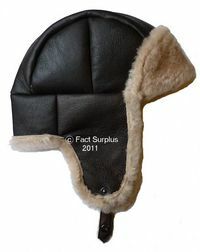 Very warm and ideal for vintage motoring or flying. 'Mediums' are marked up as such but they fit me and I've got a 60cm head which is a 'large' so I call these 'medium / large' . Brown / Cream Nappa. Medium / Large. Gunmetal / Black Nappa. Medium / Large.